Literary Agents Near Me – How many author representatives on our list of literary agents are located in your city or state? Are any of the best literary agents and top literary agencies near you? And, how important is location when trying to find a literary agent to send your query letter? Location is important when it comes to finding the right literary agent, but not the way most authors think. Scroll below for answers to the questions listed above and find book agents near you. 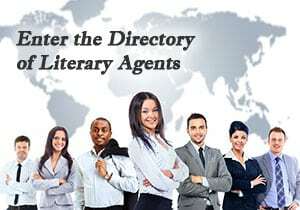 But don’t start querying literary agents using our Literary Agent Directory until you consider the following. * Most authors never meet their agents face-to-face because they live in different parts of the country. However, if you get an agent, your agent sells your book, and, after that, you let your agent know you’re going to be in their area, they’ll likely suggest meeting at their office or at a restaurant. Some agents, if they’re representing an author but haven’t yet sold their book, will make a similar offer. * Unless you’re famous, you can’t just walk into a literary agency or call them to schedule an appointment to introduce yourself. Successful literary agents get 10-15,000 pitches per year. That’s why they rely on query letters to help them evaluate (quickly) which projects are probably worth pursuing. They’re not going to meet in person. And many literary agents, including some of the most successful or famous literary agents work from home. * Even if you live down the street from an agent, it’s not an advantage. For the most part, agents won’t care if you live down the street, on the other side of the country, or in another country. It’s not an advantage or disadvantage, so don’t mention it in your query. * Most literary agents (approximately 70%) live in New York. That’s because most major publishing companies are in New York. Since an agent’s main job is to become familiar with the interests of acquiring editors and executives at the major publishing houses, and sell them books, it makes sense for most agents to live in New York. See more about that here in my article about New York Literary Agents. 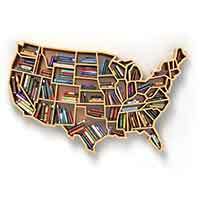 * Approximately 15% of literary agents live in California. The next biggest group of literary agents is on the west coast. That’s partly because Hollywood and Los Angeles are hubs for movie and TV activity, and because California has more people than any other state in the U.S. However, your agent doesn’t have to live in Los Angeles to sell your film rights. Most successful agents have “co-agent” or “sub-agent” relationships with literary agencies who handle or specialize in the distribution of subsidiary rights. * There are a lot of successful agents outside New York and California. Some of them used to live in New York or California, then moved to another state for one reason or another. To get away from the traffic, to care for their ailing mother, etc. It doesn’t mean they’re no good. An agent’s track record of success should always trump location. * Most Christian literary agents aren’t in New York. They’re located in Tennessee, Colorado, and elsewhere. That’s where you’ll find most of the biggest Christian publishers. So, if you’re looking for Christian literary agents, don’t restrict your search to New York and California. Literary agents near me in Alabama, Florida, Georgia, Louisiana, and Mississippi. Literary agents near me in Kentucky, North Carolina, South Carolina, Tennessee, and Virginia. Literary agents near me in Alaska, California, and Hawaii. Literary agents near me in Illinois, Indiana, Michigan, Ohio, and Wisconsin. Literary agents near me in Connecticut, Maine, Massachusetts, New Hampshire, Rhode Island, and Vermont. Literary agents near me in Arkansas, Kansas, Missouri, Oklahoma, and Texas. Literary agents near me in Delaware, Maryland, New Jersey, New York, Pennsylvania, and West Virginia. Literary agents near me in Idaho, Montana, Oregon, Washington, and Wyoming. Literary agents near me in Arizona, Colorado, Nevada, New Mexico, and Utah. Literary agents near me in Iowa, Minnesota, Nebraska, North Dakota, and South Dakota. Literary agents near me Washington DC.